In today’s rapidly moving dating game, apps are leading the charge when it comes to hooking up with people. People have been using dating sites for years to find a suitable partner and arrange dates, but the world of dating apps has added immediacy and ease of use that yields great results for many people – as long as they are using it correctly. It is now possible to set up a date with a stranger using only the swipe of a thumb and some well-applied charisma. However, you have to know how to make yourself an appealing option amongst the myriad other suitors your ideal woman could have. This article is an introduction to the hottest dating platforms out there and a guide on how to make the most of them. If you own a mobile device, you’ve doubtless heard of Tinder. It has taken the world of mobile dating by storm due to its fast pace and simplicity, and while it isn’t right for everybody, it is the go-to app for rapidly cycling through dates and maximising your options. The app will show the user a range of women in your area. You’ll then have to make judgments on image alone, swiping right if you’d like to open up a conversation with her and left if you’d want to move on to the next one. Your profile will then appear in a similar cycle of guys for the women on whom you’ve swiped right. If you both swipe right on each other, the app notifies you that you have a match, and opens up a conversation between the two of you. A level of attraction has sparked up, you liked the look of each other, or there has been some level of compatibility established. Tinder, on this front, provides a great platform moving the encounter forward and setting up a date. The way to get the most from Tinder is by being extremely refined with location targeting, which is a key feature of the app. Entering a general location (for example, London) gives you too broad a range of women. I always maintain that you should know what type of woman you want to date and never compromise. The great thing about dating apps is that you can optimise them to make sure you’re honing in on exactly who you want to attract. Instead of searching for London, try Soho or Chelsea. Focus it. The whole notion of succeeding with dating apps points to effective targeting and knowing who it is that you’re looking for. Think about the type of woman you like. Then think about where she would be likely to live and work or go out partying. Photos also have a significant impact on Tinder, as you don’t get much room to add a bio, and you have to make a big impression in a short timespan. Start taking care of your shopfront. A properly managed section of photos is the difference. More and more apps are using location settings to customise and boost the user experience. Happn is no exception. It is a dating platform that tracks the location of the user and pairs you up with potentially great matches that may have passed you by – literally – during the day. If a woman you pass in the street is also is a happn user, then you get a second chance to make a first impression. Avoid using anything as simple as a selfie, but it’s also best to ditch the idea of showing off or being flashy on your profile. Limiting your location is especially crucial with happn. Maximise the chance of finding the right type of woman by defining your variables and placing yourself correctly. Once you know of the characteristics you’re looking for in a long-term partner, you need to think about the best way to meet somebody with those characteristics. Happn matches you with potential dates using an algorithm based on the people you pass during the day. If you commute through the rough end of town, the women you pass may not be as upmarket, classy, or eligible. To master happn, switch up your commute or plan a few weekend walks through the desirable parts of town to send the algorithm in a new direction. The main gist of Bumble is that the woman always gets to start the chat. This means that while more pressure is on male users to set up an eye-catching profile, the return on investment is extremely high. Most of your work is already done. A chat unfolding means that a woman has already taken an interest in you, and as long as you keep her attention piqued through confidence and reactive conversation, it’s very likely that she already wants a date. It’s an effective way to reduce time-wasters without paying for a dating site. No reply from the woman within 24 hours and the conversation closes forever. Your inbox will only consist of valuable encounters. Photos have to pack a punch on Bumble, as they’re going to be the ones kicking off the conversation. Create a fantastic glimpse into your life. You get to upload six photos, and you can select them from your Facebook. The first photo should give a great overall impression of you, the second two should show you as a professional and upwards mover, and the final three show your interests and personality. Keeping it brief can be powerful on platforms like tinder, but on Bumble, she’s leading the interaction. Embrace longer answers and let her know who you are. Use open questioning, keep the tone positive, and focus on the exciting parts of your life. Notice the quirks that arise in her pictures and show interest. 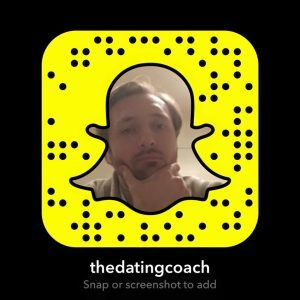 I’ve put together a definitive guide about online dating to help you master every aspect. Click here to learn more.